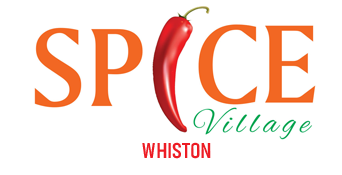 Spice Village Whiston maintains the interactive portion(s) of their Web site as a service free of charge. By using any interactive services provided herein, you are agreeing to comply with and be bound by the terms, conditions and notices relating to its use. 1. As a condition of your use of this Web site and the interactive services contained therein, you represent and warrant to Spice Village Whiston that you will not use this Web site for any purpose that is unlawful or prohibited by these terms, conditions, and notices. 2. Spice Village Whiston reserves the right at all times to disclose any information deemed by Spice Village Whiston necessary to satisfy any applicable law, regulation, legal process or governmental request, or to edit, refuse to post or to remove any information or materials, in whole or in part. 3. The information, products, and services included on this Web site may include inaccuracies or typographical errors. Changes are periodically added to the information herein. Spice Village Whiston may make improvements and/or changes in this Web site at any time. Advice received via this Web site should not be relied upon for personal, legal or financial decisions and you should consult an appropriate professional for specific advice tailored to your situation. 4. Spice Village Whiston makes no representations about the suitability, reliability, timeliness, and accuracy of the information, products, and services contained on this web site for any purpose. All such information, products, and services are provided "as is" without warranty of any kind. 5. Spice Village Whiston hereby disclaims all warranties and conditions with regard to the information, products, and services contained on this web site, including all implied warranties and conditions of merchantability, fitness for a particular purpose, title and non-infringement. - for any information, software, products, services and related graphics obtained through this web site, or otherwise arising out of the use of this web site, whether based on contract, tort, strict liability or otherwise, even if Spice Village Whiston has been advised of the possibility of damages. 8. Spice Village Whiston reserves the right in its sole discretion to deny any user access to this Web site, any interactive service herein, or any portion of this Web site without notice, and the right to change the terms, conditions, and notices under which this Web site is offered. Binding Effect. This Agreement shall be binding upon all who use Spice Village Whiston services, property, and other assets mentioned in this agreement with respect to this Web site and associated content, and it supersedes all prior or contemporaneous communications and proposals, whether electronic, oral or written with respect to this Web site. A printed version of this agreement and of any notice given in electronic form shall be admissible in judicial or administrative proceedings based upon or relating to this agreement to the same extent and subject to the same conditions as other business documents and records originally generated and maintained in printed form. Fictitious names of companies, products, people, characters and/or data mentioned herein are not intended to represent any real individual, company, product or event. Any rights not expressly granted herein are reserved.